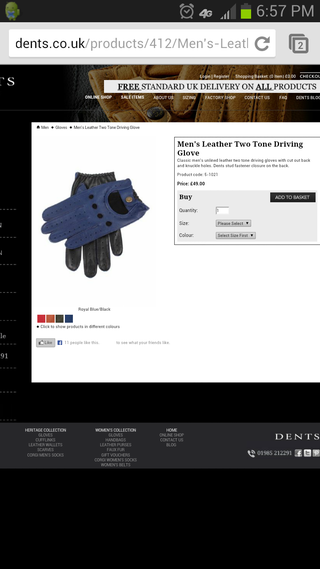 Driving Gloves: too dorky or are they Jalop? So I'm asking for these for Christmas, assuming they ship to the US. At current conversion rates, I think they're about $80ish. I want the blue to match my car, but is that too dorky? Are driving gloves in general too dorky? My hands get clammy in the cold weather and these would genuinely help.